TRADER 9: Trade of the day, DMND!!! 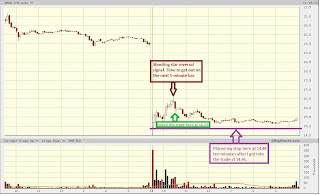 So this chart here to the left is the 1-minute chart of DMND. 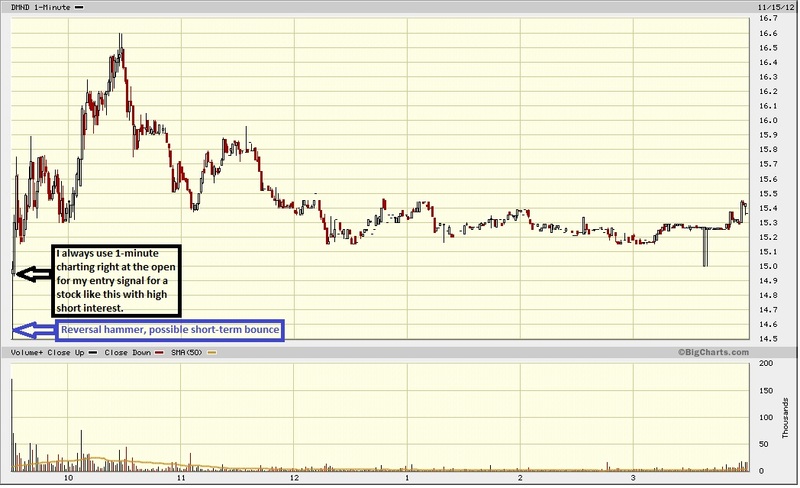 The reason I went in on a 1-minute instead of a 5-minute chart was because it opened and it was already hitting a strong support level from back in 2007 around 15 dollars a share. I didn't want to wait 5 minutes for a reversal signal and see if it would retrace back up. When you wait too long for this easy opportunity, the party boat would have already left without you. 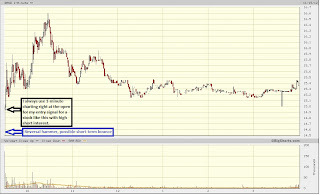 Went long 500 shares at 14.95 after the hammer reversal signal formed. 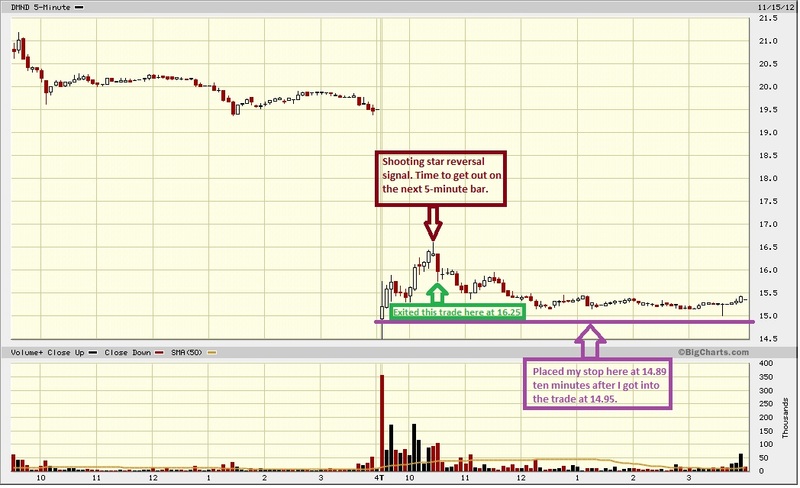 Placed my stop at 14.89 (above pic) and then got my shooting star reversal signal to get out on the next bar. Exited at 16.25 for a 1.30 point gain. My day really didn't end up that pretty because I ended up giving half of my gains back when I got stopped-out twice trying to catch the Dead Cat Bounce on TZYM. You should look at trying to catch the bounce on TZYM tomorrow. They usually rebound on Fridays. Yep, I'll be looking at it on Friday and also DVAX.